Mingzhou Ding’s research is focused on understanding the neural basis of higher brain functions and their impairments by neurological and psychiatric disorders. In particular, he and his lab are applying quantitative engineering approaches and multimodal imaging to address questions in the dynamic organization of brain networks and the disruption of these networks in disease. Ding is one of the strongest developers of methodologies for measuring how one region of the brain is functionally connected to (or communicates with) another region of the brain. He has pioneered the application of computational techniques to assess the directionality of neural interactions and information flow in brain networks, and developed the mathematical constructs, based on the statistical technique known as Granger Causality, to apply to many forms of recordings from the brain, including spike trains, local field potentials, EEG, ECoG, and fMRI. His insights and efforts have brought this technique to increased acceptance and utilization in neuroscience, psychology, and even clinical communities. With signal processing experts and cognitive neuroscientists, Ding has also pioneered techniques for detecting brain responses to external input on a single event basis, despite the extremely poor signal to noise ratio. 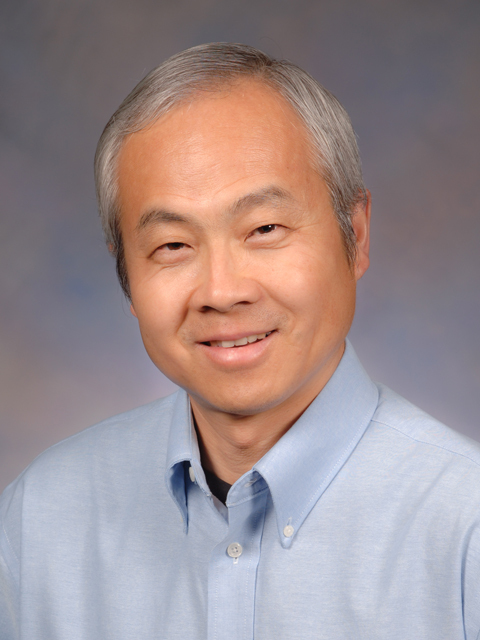 Ding’s work extends to translational clinical applications, as each of these techniques provides a highly sensitive, yet reliable, basis on which to judge the effects of the disruption of normal functioning and circuitry in brain disorders and their treatment. Working directly with physicians and clinical scientists, he and his colleagues address problems of clinical significance, including cognitive fatigue, the effect of anticonvulsant drugs on the brain’s executive function and language production, disruption of brain network dynamics in aging, Parkinson’s disease and HIV infection. Ding is at the center of the translational clinical science that is emerging and will reshape how the medical field views patients with brain disorders.